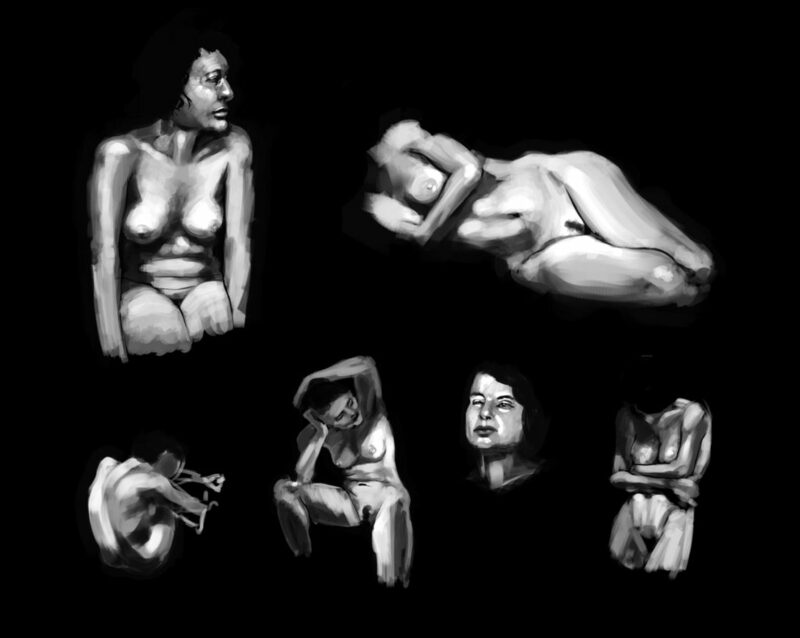 Over the last life drawing sessions, I’ve totally stopped doing any line work and focused just on painting. I’ve realized my shortcomings regarding brushes, and I need to improve when it comes to detailing in the short amount of time each pose has (or the impression of detail). And I really need to improve my work on faces. I’m so used to having a sketch before, that I get really lost when it comes to definition.